For NASA astronaut Dr. Anna Fisher, exploration is just part of the job. As a veteran of NASA’s Discovery space programs and the first mother to ever leave our atmosphere, Dr. Fisher’s list of accomplishments is hard to top. 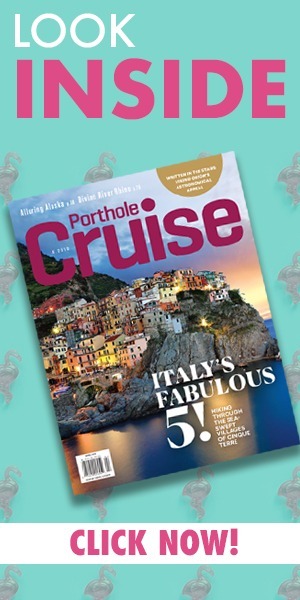 She’s also an accomplished chemist, emergency room physician and thanks to Viking Cruises, she can add cruise ship Godmother to the list. 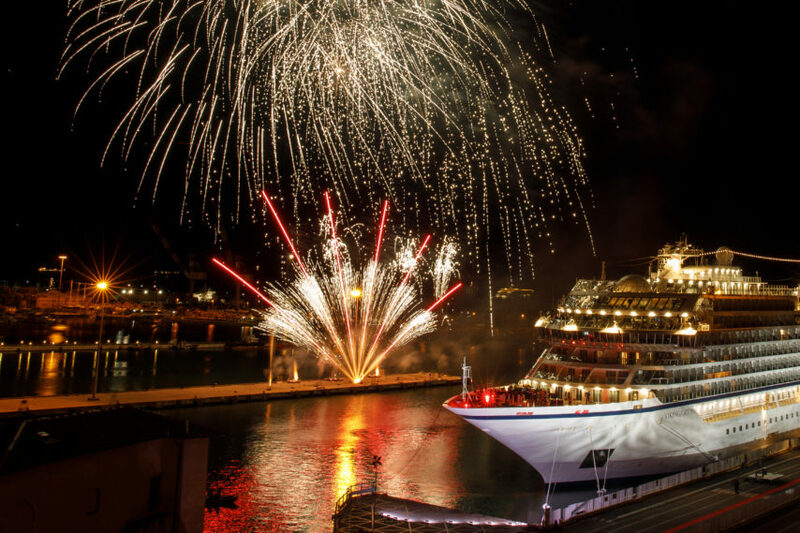 Viking Orion, the latest ship from Viking Cruises, got its name in a lavish ceremony in Livorno, Italy on June 14th. 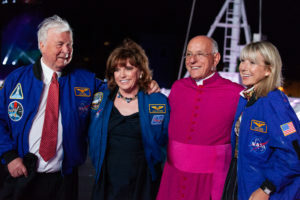 Surrounded by her friends and family, Dr. Fisher offered a blessing of good fortune and safe travel for Viking Orion – a practice dating back thousands of years of maritime tradition. Torstein Hagen, Chairman of Viking Cruises, was proud to honor Dr. Fisher and her accomplishments. “Today is a proud day for the entire Viking family. Just three years ago we launched our first ocean ship, and now we are welcoming our fifth ship, whose name was selected to honor both the original Viking explorers who used the constellations for long-distance navigation, as well as the great space explorers of our time,” he said. 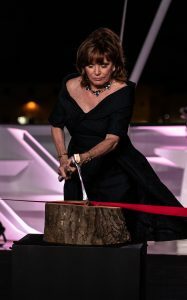 In keeping with tradition, Dr. Fisher also cut a ribbon using a massive viking axe that allowed a bottle of Norwegian aquavit to smash on the hull of the ship. The vessel was officially blessed by Monsignor Liberio Andreatta. who has led Opera Romana Pellegrinaggi, an office of the Vicariate of Rome, an organ of the Holy See, reporting directly to the Cardinal Vicar of the Pope. The ship was named after the constellation of the same name and in honor of Dr. Fisher’s work on NASA’s Orion exploration vehicle project. Holding 930 guests and weighing in at more than 47,000 tons, Viking Orion is set to spend the summer cruising the Mediterranean before sailing off to locations in Asia, Australian and Alaska in the future.